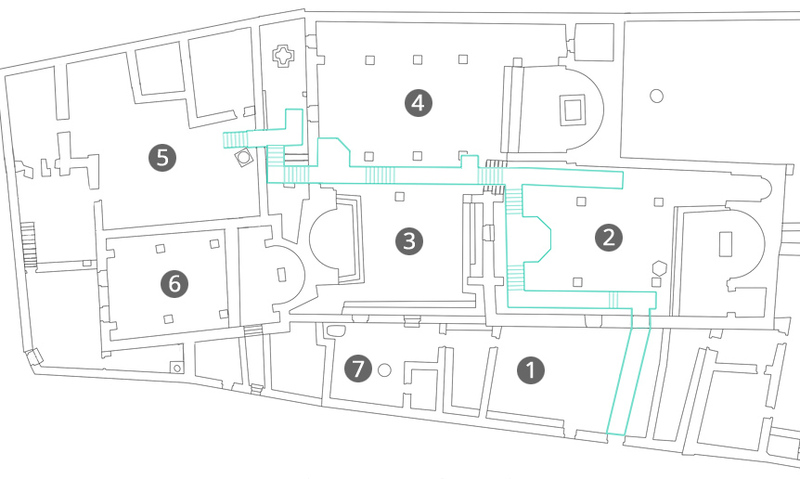 The large interconnected liturgical complex, protected by a huge roof, consists of four churches, a chapel, a baptistery and four courtyards, built mainly between the end of the 6th to the end of the 8th century. 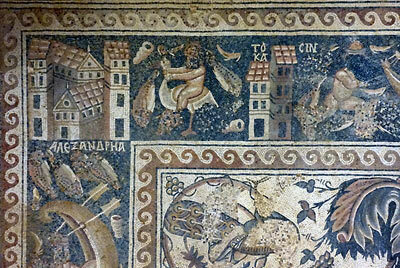 The mosaics can be seen quite well from raised footbridges. 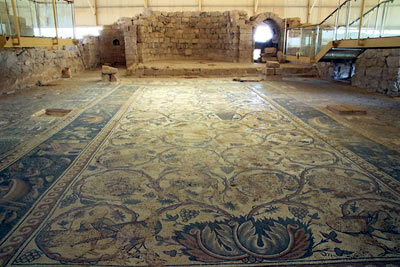 The greatest attraction and one of the most important archaeological monuments in Jordan is the well-preserved mosaic floor of St. Stephen's Church. 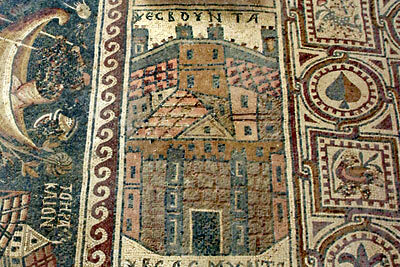 It includes unique representations of towns on both sides of the Jordan river, scenes from the Nile Delta, and other beautiful motifs. The choir room was paved in March 756, and the entire church was completed in October 785. More about in our extensive photo tour with lots of information. 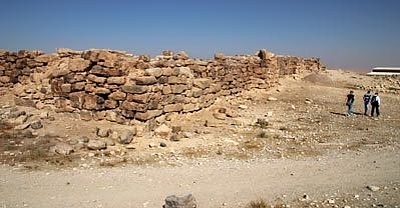 Informative photo tour through the archaeological complex. 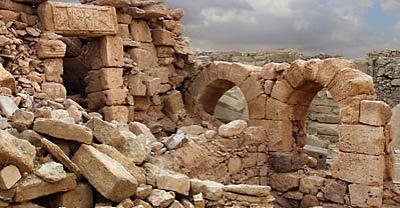 Unique representations of 17 cities from both banks of the Jordan. © Map: Universes in Universe, based on a drawing by the Department of Antiquities (DoA) of Jordan, incl. the walkways for visitors. 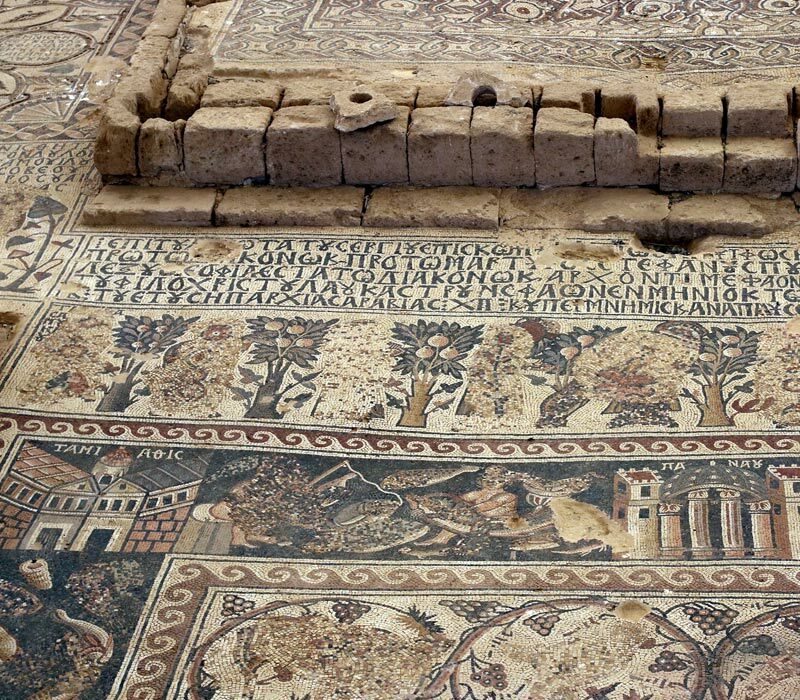 This informative photo tour in four parts introduces and localizes the main attractions of Umm er-Rasas in a recommended route through the site.